Leading Nigerian sax man and bandleader. Music fused with American soul sounds, Afro funk and Afrobeat. 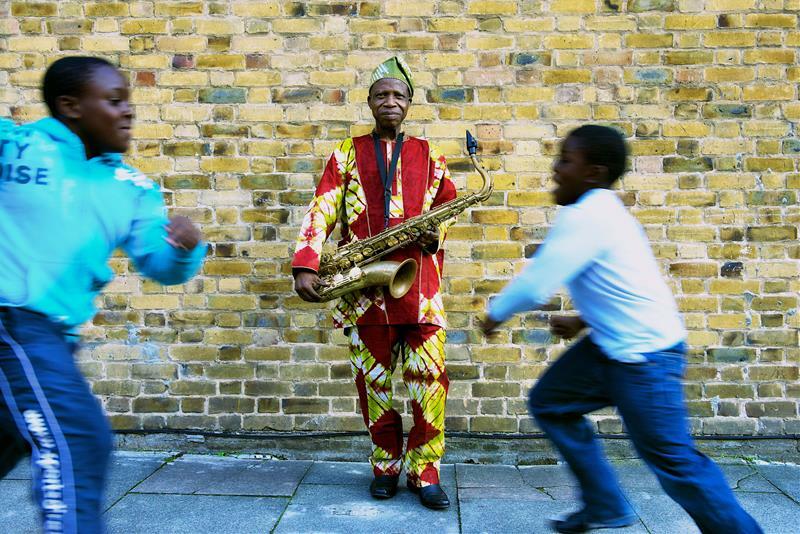 The famous Nigerian saxophonist, bandleader, songwriter and singer is going back to his roots - revisiting compositions from his early years that have never been recorderd. Julius is perhaps best known for 1966's groundbreaking album Super Afro Soul, which fused highlife with American soul sounds and which, in turn, influenced generations of African and American soul, Afro funk and Afrobeat artists. London psychedelic funk innovators the Heliocentrics are no stranger to collaborations with legendary figures ⎯ they've recorded collaborative albums with Mulatu Astatke and Dr. Lloyd Miller.